Building on an already established cooperation framework for lifelong entrepreneurial learning, ministers from the EU pre-accession countries of South Eastern Europe and Turkey reconfirmed their commitment to lifelong entrepreneurial learning. At the summit called by the Croatian government on 23 October, all eight countries signed a charter committing the countries to continued cooperation and support for entrepreneurship promotion across all levels of education. The Charter builds on an existing cooperation framework provided by the South East European Centre for Entrepreneurial Learning, where each country’s education and economy ministries are represented. Through the Charter the countries will reinforce commitment to systemic developments in lifelong entrepreneurial learning through continued policy improvement, good practice sharing and regional cooperation. In his opening address, Niven Mimica, Croatia’s Deputy Prime Minister set the context for the summit. ‘Faced with a continuing global crisis we must work together to head off the challenges to our economies,’ said Mimica, He added: ‘our common European future requires us to work towards the EU 2020 objectives of smart, inclusive and sustainable growth.’ The meeting was chaired by Gordan Maras, Croatian Minister for Entrepreneurship and Crafts, who stressed the importance of education-economy cooperation for enhanced growth and jobs. The point was reinforced by Croatia’s education minister, Zlejko Jovanovic. 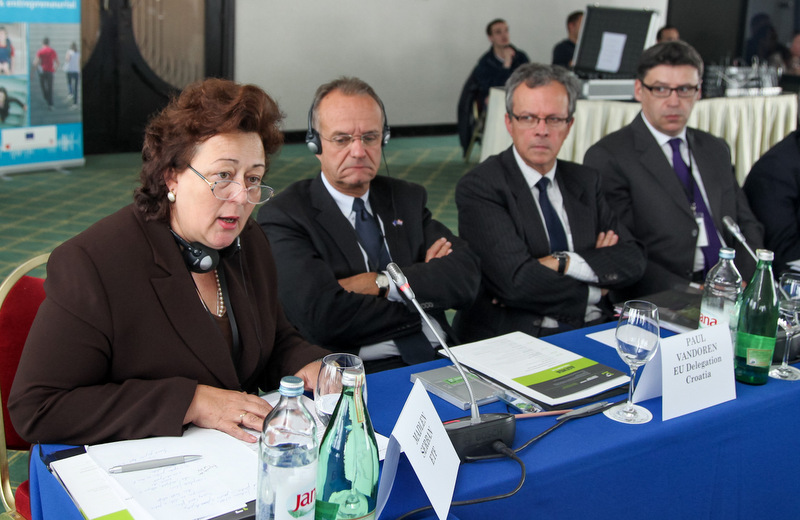 The summit heard from a range of high-level officials from the European Commission who joined the proceedings. Pierre Mairesse, representing the European Commission’s education services, congratulated all signatory countries of the Charter. ‘The European Union shares the principles of the Charter,’ he said. Marko Curavic of the Commission’s enterprise directorate warned delegates that ‘there are no shortcuts to building an entrepreneurial learning eco-system.’ He underlined the need for sustained investment in training of teachers, which the entrepreneurial learning agenda requires. Bo Caperman from the Commission’s enlargement services commended the countries for the excellent cooperation and achievements. The ETF was represented by its Director Madlen Serban. ‘The signing of the Charter is an historic moment for the region,’ said Serban.